If you choose to change from using Thesaurus Payroll Manager to BrightPay, you can import your Thesaurus Payroll Manager details directly into BrightPay at any stage of the year, i.e. at the commencement of the new tax year or mid way through the tax year. 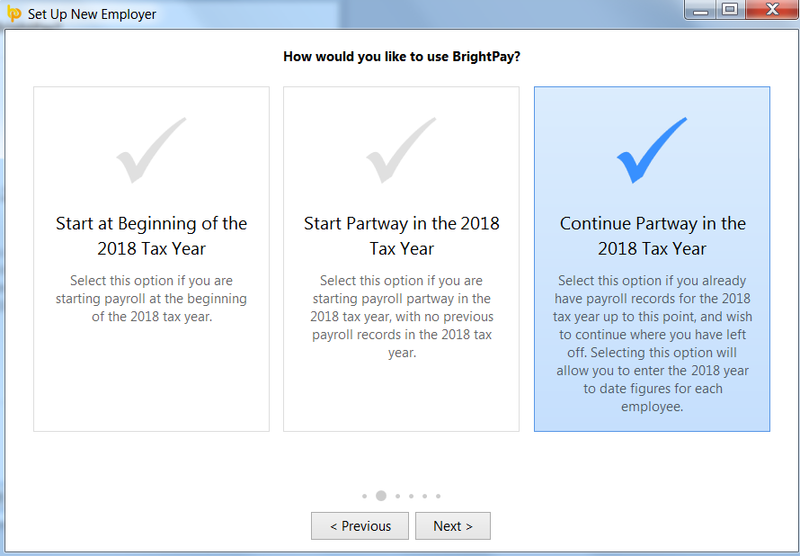 If you have already started to process your payroll in Thesaurus Payroll Manager 2018, you can switch over to BrightPay 2018 at any stage during 2018. 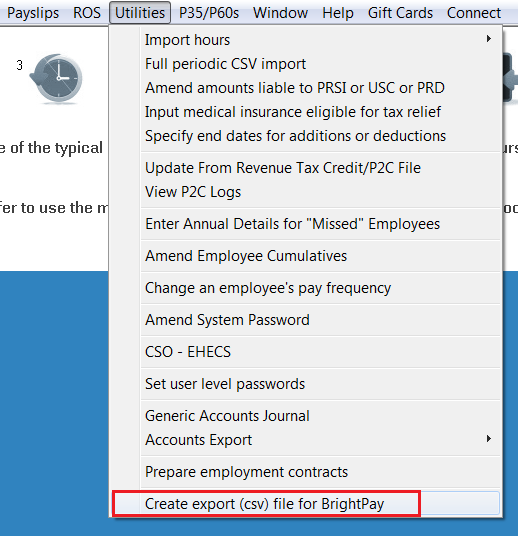 Please note: Once the import is performed, reports and payslips can be accessed from the first payroll period processed by BrightPay. All payroll periods previous to the import can be retrieved from Thesaurus Payroll Manager 2018. Begin by setting up your company in BrightPay. 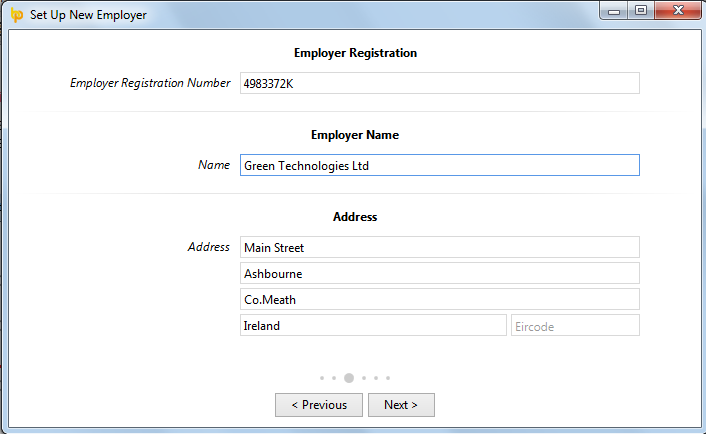 This can be done by selecting Create New Employer on the Open Company screen. At the prompt, choose the option Continue Partway in the Tax Year. If you run both weekly and monthly payroll in Thesaurus Payroll Manager, you will need to perform this process twice - once for weekly and once for monthly. 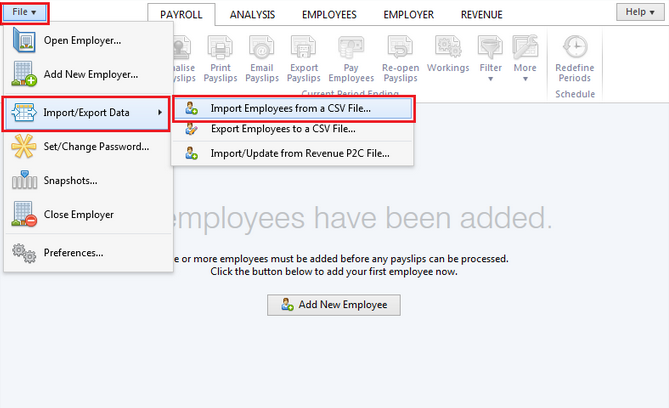 Return to BrightPay and select File > Import/Export Data > Import Employees from a CSV File. Browse to and select the file which you created within Thesaurus Payroll Manager. BrightPay will automatically match the column headings for you. Simply click "Import" to proceed. Remember to repeat this process if you created two CSV files in Thesaurus Payroll Manager (one for weekly, one for monthly). On successful completion of the import, BrightPay will give you an option to view a report of the year to date figures imported from Thesaurus Payroll Manager. Simply click on View Summary of Imported YTD Figures to view/print this. 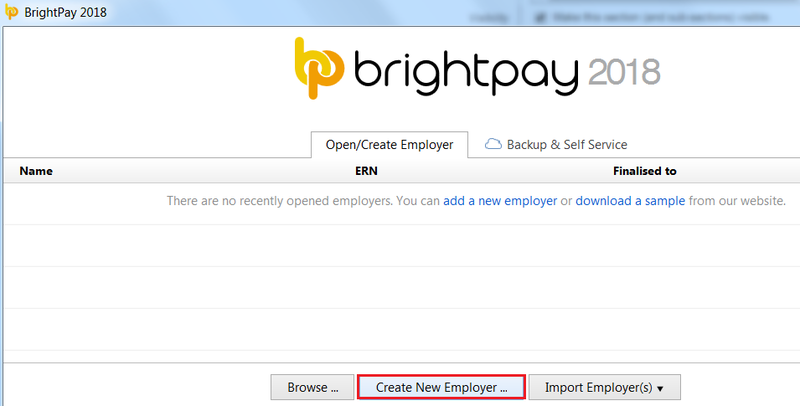 Your employees and their mid year pay information will now be imported in BrightPay. Check over your employer and employee information and complete any additional fields as required. You may need to set up things which could not be imported from Thesaurus Payroll Manager such as rates, additions/deduction types, pension schemes, benefit in kind, etc. This should be set to commence on the next pay date due which would have been the next pay date had you continued with Thesaurus Payroll Manager.